﻿ Westgate Las Vegas Resort & Casino, Las Vegas (NV) | FROM $17 - SAVE ON AGODA! 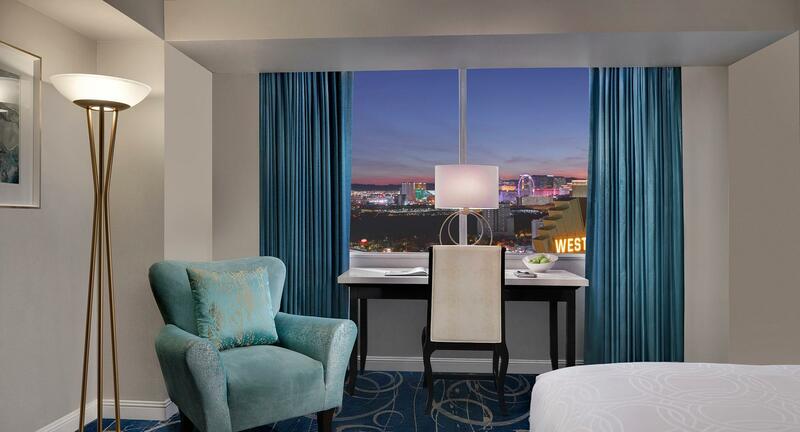 "The rooms are exceptionally large and clean and the breakfas..."
Have a question for Westgate Las Vegas Resort & Casino? "Our room was on the 17th floor and we had a good view." "I really liked the big TV and the bed was very comfortable." "Rooms were very spacious and clean!" Situated on 59 acres and featuring 3,000 rooms, this famous hotel is considered one of the world's most popular destinations. 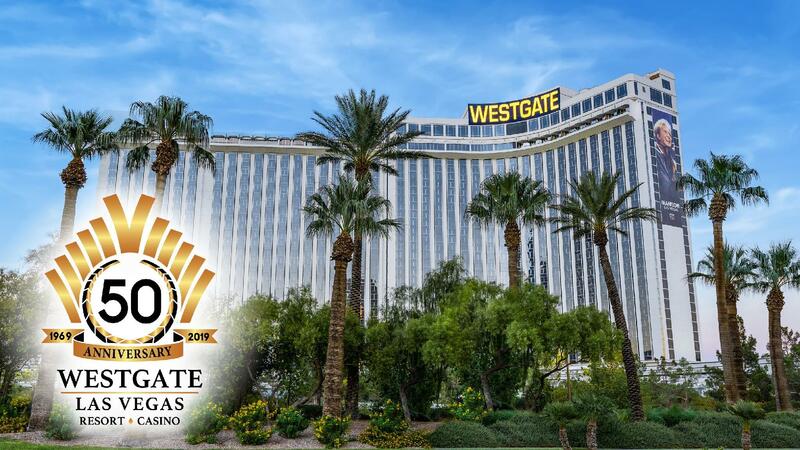 Westgate Las Vegas Resort & Casino is adjacent to the Las Vegas Convention Center and next to the Strip which is just a five-minute ride from the Hilton's monorail station. The 4-star hotel features the Hilton Theater which headlines such world-class entertainers as Barry Manilow. As one of the largest hotels in the world, there are 16 various restaurants on-site. Also included is the 37,000 square foot main casino, and SuperBook which is Nevada's most technologically advanced sports venue. The hotel has everything one could expect from a hotel and entertainment venue. "Was located close to the bus stop which was handy." Accommodation tax will be charged directly at the property. Please note that the reservations with breakfasts made after September 30, 2018 will only include breakfasts for one day, not for the whole stay. The staff was great, hotel has own casino and stores inside the building. It's location is next to the monorail which connects to the Strip. 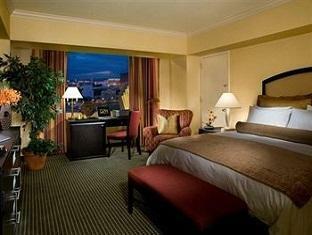 Good price compared to other 4 star hotels in Vegas. The rooms and facilities are outdated and need renovation. Good for a night in Vegas in a calm district. end of the strip. next to monorail but quite far from anything that is happening. it's fine if you want to just stay in the hotel as there are many facilities in it. but if you wanna be in the middle of all that's Vegas, there are other places are right in the action for similar price. All in all it wasn’t a bad stay. Our first room was too small and they changed it without a problem. There was lipstick on a couple towels, so that wasn’t pleasant. The 100 dollar security deposit can damper things when you’re on a budget and unaware of it. Bed was comfortable, better than most hotel beds. Resort sales people are very aggressive. My wife and I were walking in the lobby when we were caught by one of their "hearders" . They hearded us off to a desk where we repeatedly said that we were not interested. One of the agents was extremely aggressive with my wife... telling her that she gets paid by commision and asking her if she was okay implying that my wife was crazy. We spoke to a supervisor who was nice but I know when someone is blowing me off. The bottom line is that the hotel was nice, we loved our room and the view was awesome. From that point forward I made it clear when they approached us that we were not interested. Amazing stay! The hotel is really huge and has this "glamorous" feel. It is located a little bit of The Strip, but you can take the monorail (5$ one-ride/passenger.) The continental all-you-can-eat breakfast had the biggest variety of food I have ever seen in my life. Totally worth the money! Nice hotel, good location to go to either strip and Fremont street. Found the best place ever , artist area. Only issue I had was that I was looking to relax by the pool, weather in 80s and they closed the pool from 5th Nov to March, why? And they would not recommend anywhere local as an alternative, cmon surely a hotel could be more flexible and keep pool open if weather is good. If you can book the Westgate for significantly lower than any other hotel then stay there. I first stayed here in 2014. This stay we were changed rooms at 1am because the heat didn't work and the room was freezing. Well they upgraded us from the premium room. New room the heater still didn't work. Someone came the next day to fix it. Updated signature rooms are far nicer than the standard rooms. Beds were extremely comfortable. Good location just off the Strip. Monorail station at the hotel. Pleasant pool area. Enjoyed our stay and would recommend. 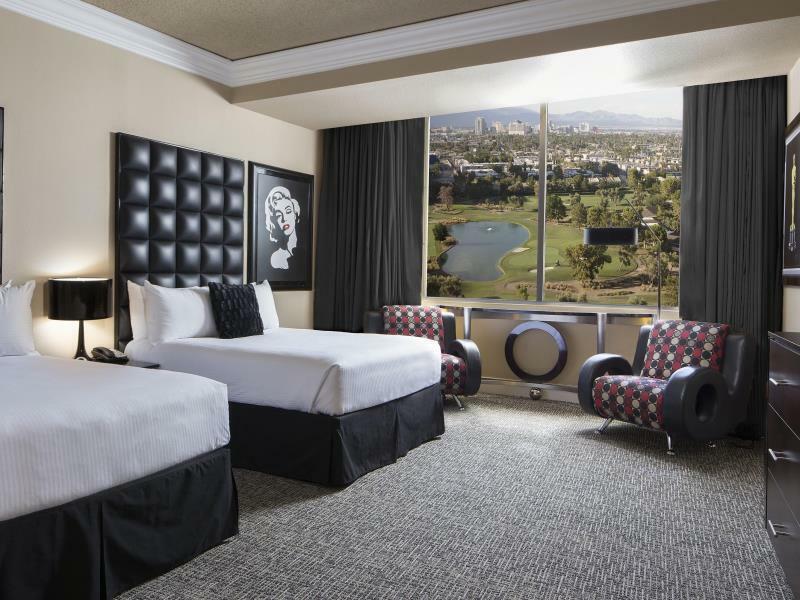 The value is great in Vegas, location is just outside of the strip but very close, the grounds are nice parking easy, but do not walk north of the hotel at night pretty sketchy area ok to walk west to the strip. Room looks like they updated but still signs of its a face lift not a remodel. They have gambling, pool, spa, and all amenities. . The 2 star on staff is check in was a boar, they will not let you check in till 3PM so half + of your first day is gone, and they have several people trying to sell you a timeshare of some kind, i think this hotel is part of timeshare properties. They do not clean rooms until late as well about 2-4PM. Staff at restaurants are great. When we booked there was no mention of needing to pay resort fees, which were about $38 per day. We were also given a living room, with a fold down bed, which would normally be an attached room for someone staying in a suite. We called the front desk and were told that every room was just like that. There is a lack of photos on Agoda, but the ones shown all are for normal rooms with real beds. Thought they were genuinely sweet to offer welcome gift. Turned out to be a three hour long time share presentation despite being told it is 90 minutes. Worse of all, gave tickets to watch a show, but was told the show had sold out for the night we were promised. Ended up watching substitute show. All in all, weaselgate. Despite knowing guest is from Malaysia, asked guest to call long distance. Reservation was allegedly cancelled despite being fully paid to AGODA. Turns out Front Desk don't know how to read Chinese names (first name last name). This caused hundreds Ringgit in long distance IDD calls borne by customer. Booking said breakfast. Instead given USD 40 credit. When used at restaurant, bill totalled USD 56.24 Was asked by waiter to pay balance in cash. But when check credit card statement, USD 16.24 still charged, hence double payment of cash and my credit card. Informed during checkout. They will reverse. Then quietly re-charge a new entry a few days later. One word. Weasel. Check in was fast and easy. Our room was on the 17th floor and we had a good view. The room was big and beds comfortable. Big bathroom and all worked fine. Rooms were very spacious and clean! The rooms are big enough and adjoining that fits all of us. although we stayed for 1 night only but maybe ill be back here the next time I visit...very close to everything but away from the busy strip. parking is free and that's a good thing. its an old hotel so expect it needs to be updated. the only downside is the drain in the tub. it's clogged so I hope they will do something about it. Hotel is not on the Strip (require a bit of walking to the Strip) but the big plus is it has a monorail stop right at the hotel which makes great accessibility (just have to pay monorail fee). It is a very big hotel, the decor is a bit dated, but it is clean and spacious. It has a casino (air quality here is not as bad as some other bigger casinos) and a few restaurants, including a decently-priced cafe. Security at night is good (they check people who try to access the lifts to ensure only guests are allowed). Check-in is rather slow, but not a deal breaker. Would stay again.